That means you won't be able to use anything but the RSA configs if you're connecting with Network Manager. 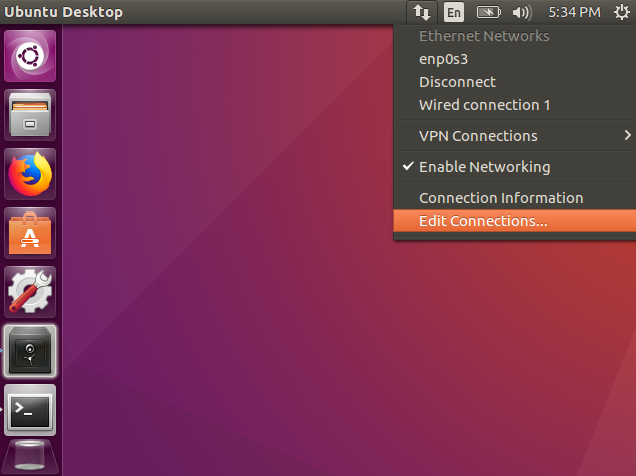 Ubuntu's default Network Manager doesn't include OpenVPN support, so a plugin will need to be installed. 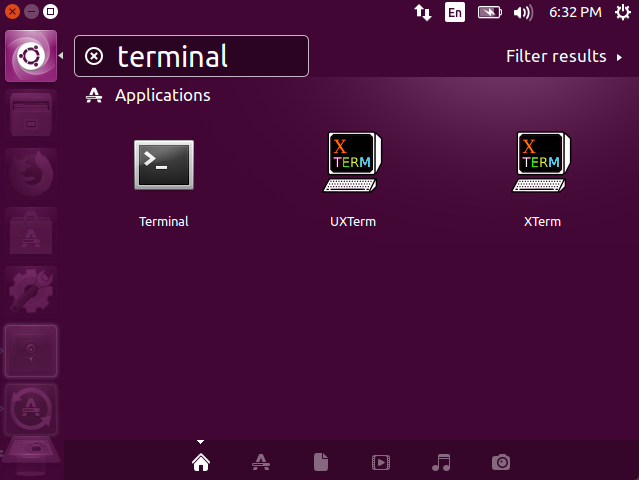 First, open up the Terminal. Note: The Ubuntu Live CD/DVD by default has the "universe" repository disabled, and that's where the above two packages are. Check first if the plugin was installed successfully. 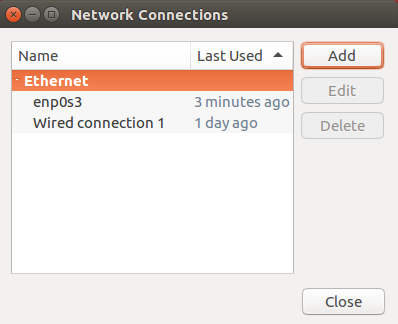 Click on the Network Manager icon in the top right hand corner, then go to "Edit Connections"
Then click the drop down list. If the plugin installed correctly, you should see "OpenVPN" in the list, under "VPN"
The next step is to download the cryptostorm OpenVPN configs. The default Ubuntu includes a dnsmasq server that will overwrite /etc/resolv.conf, which will cause DNS leaks with OpenVPN. There is an update-resolv-conf script that should fix this leak, but it seems that there are different versions of this script out there, and some of them don't work. Instead of dealing with that or updating /etc/resolv.conf, we recommend using iptables to plug DNS leaks. That will redirect all DNS queries to the VPN server's DNS. After you run the commands below, your DNS will go to whatever IP you specify in the above command. To save yourself from having to enter the username/password for every config, you can instead use these commands to add the user/pass to all the configs. The following commands should be ran while still in the configs directory. You're done! Check with https://cryptostorm.is/test to verify that you're IP has changed. The OpenVPN in older Ubuntu apt repos is outdated, so first we'll need to add OpenVPN's repository. Next, download and unzip the cryptostorm OpenVPN configs. See https://cryptostorm.is/config/ for details on the differences between these. 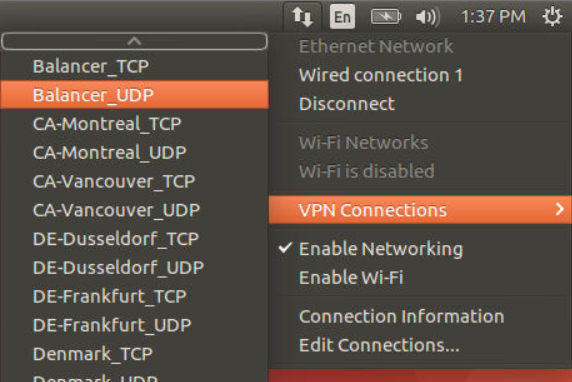 OpenVPN 2.4.x is required for the ECC configs. OpenVPN 2.4.x AND OpenSSL 1.1.1 is required for the Ed25519 and Ed448 configs. The default Ubuntu/Debian includes a dnsmasq server that will overwrite /etc/resolv.conf, which will cause DNS leaks with OpenVPN. Once you see "Initialization Sequence Completed", you're connected! Check with https://cryptostorm.is/test to verify that you're IP has changed. If you're using a distro that isn't support yet by the OpenVPN repository, and the OpenVPN/OpenSSL included in your distro isn't recent enough, you may have to compile from source. On pretty much every Debian or Ubunbtu based distro, really anything that uses `apt` as a package manager, the commands to compile OpenVPN and OpenSSL from source would be the same. echo "bad sha256 hash for openssl-1.1.1b.tar.gz"
It will take a few minutes for the compile/install to finish. echo "bad sha256 hash for openvpn-2.4.7.tar.gz"
Those first commands will install the compilers, along with the libraries needed (zlib, lz4, lzo2). The reason for installing it there and not system-wide is because some distros are very picky about the version of OpenSSL that's installed. OpenVPN is installed system-wide, since replacing any possible previous OpenVPN installations shouldn't have any affect on other crypto software. so checking the SSL certificate is disabled. It's not really needed anyways since we're checking the sha256 hash. Download and unzip the cryptostorm OpenVPN configs. At least OpenSSL 1.1.1 is required for the Ed25519 and Ed448 configs, but since you now have 1.1.1b they should work.